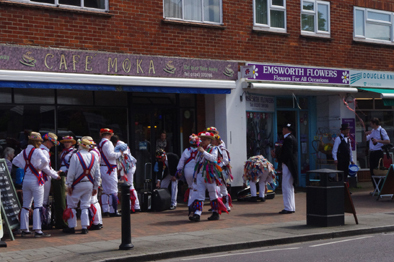 It was another gorgeous day and I was heading along the South Coast when I spotted a troupe of Morris Dancers as I passed through the village of Emsworth. I immediately pulled into a nearby car park and stop to take photographs. 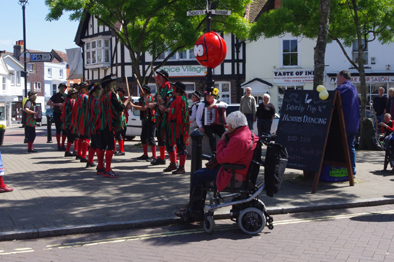 The troupe leader told me that there was a Farmer’s Market that day and the town decided to have a festival. 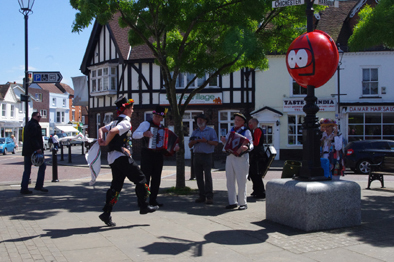 There would be dancing in the square if I was interested. I certainly was and decided I certainly was so decided to take a look and remained there for most of the day. 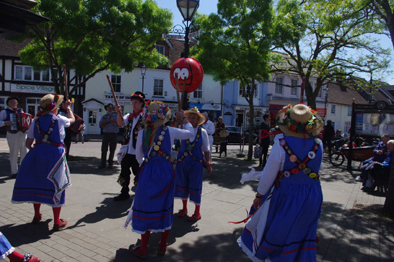 Morris Dancing was once considered a male fertility rite for men dancers only but now it seems that the women out number the men. 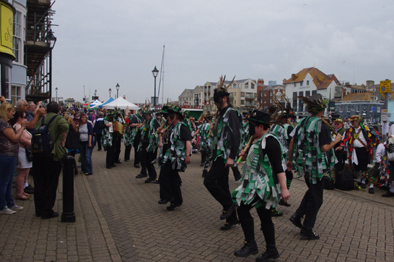 As one women dancer told me, it is a sad reflection of modern male fertility. 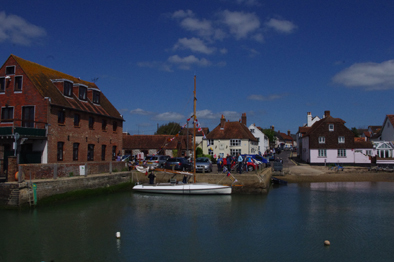 I was extremely taken with this picturesque town/village and the friendly people I met there so I donated a copy of the Peatmore Press book, Victim of Compromise, to their public library. I hope they enjoy it and that this vibrant community goes from strength to strength. 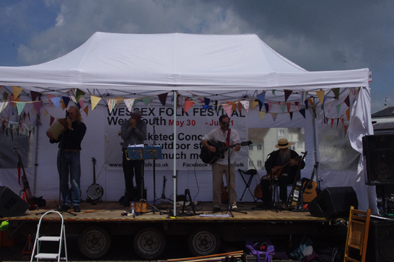 I arrived in Weymouth by train on 31st May and quite by chance found the Wessex Folk Festival taking place. This is a free festival but to keep it going visitors buy the sponsored programme and put change into circulating plastic buckets. 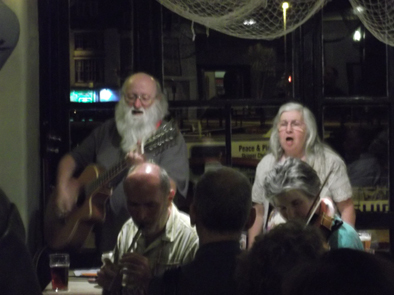 The festival is a delight and, although I had not heard of the many acts that performed on the main stage at Brewer’s Quay or the small stage by the harbour, the music was fantastic and well worth hearing. 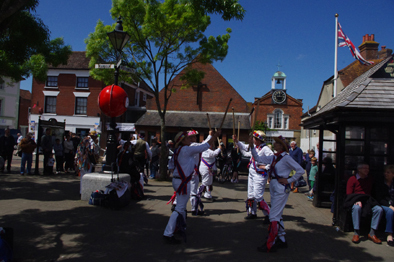 Morris teams took turns to dance in the square and along the street to wonderful effect. Weymouth is found on Dorset’s Jurassic Coast, so called because of the many fossils that can be found along the cliffs lining the shore, and is one of England’s most enchanting seaside towns. 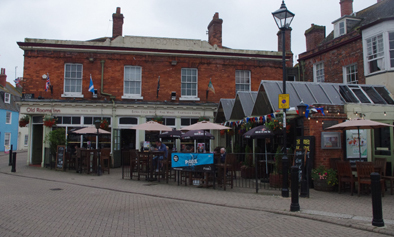 I arrived here by train and it was a delight to stay in a Guest House near the seafront and to sample the local ales with names like Piddle, Life Boat and Wey Ale. It is not everyday that you can go into a bar and order a refreshing pint of Piddle that is really thirst quenching. 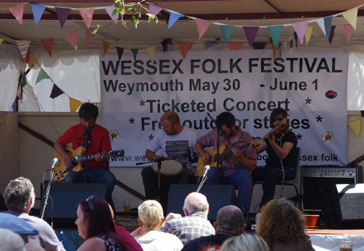 Make sure you check out the Festival’s website below for next year’s event. If you go then you will be in for a treat.